Over the past week, I’ve put in well over 50 games with Blastoise/Keldeo variants, both online testing and some real life testing as well. Over the course of those games, I have been able to gain some good insight into the deck, and in this article, I want to share the insights I’ve gained in playing the deck. I am not sure if the deck is absolutely the play or anything like that, but when a new major deck comes into the format, I think it is highly important to do a lot of testing with it. This will help you better understand the deck, get the perspective of the player playing that deck and what they fear their opponent doing to counter their deck, and all that kind of stuff. I feel this is much stronger knowledge to gain than just testing against decks, as you will have less knowledge as a whole to base your strategy on. Now, let’s go over some of the insights I have gained on this deck. Blastoise/Keldeo will be a top tier deck. 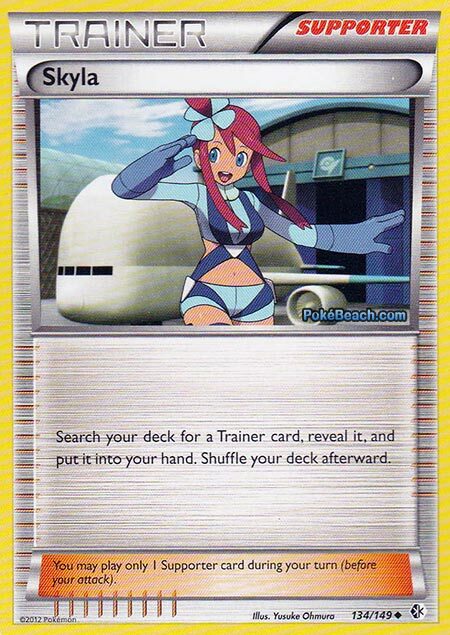 First of all, I strongly believe that Blastoise/Keldeo will be a top tier deck. 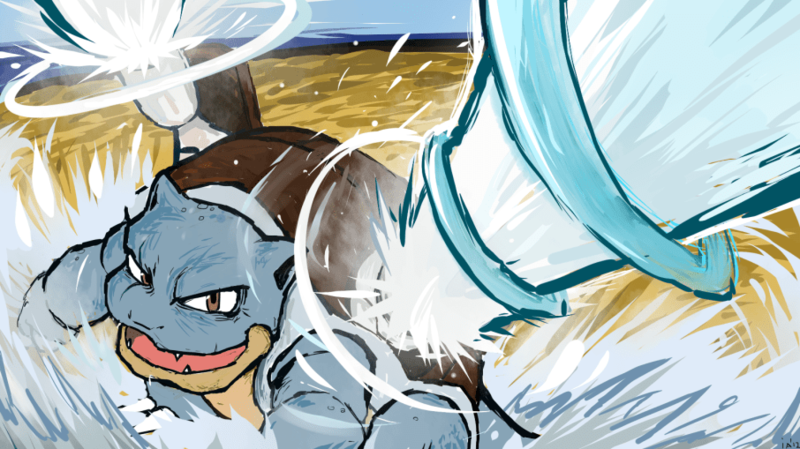 The combination of Blastoise and Keldeo EX is a very strong one. Blastoise is not a liability on your field, as you can simply use Rush In to prevent your opponent from using any type of Pokemon Catcher stall. This opens up more room in the deck as you can play a lower Switch counter, or perhaps no Switch, allowing you to fit in more consistency cards or tech options. In theory, this is the “safest” play of all the major meta game decks as far as not being countered. 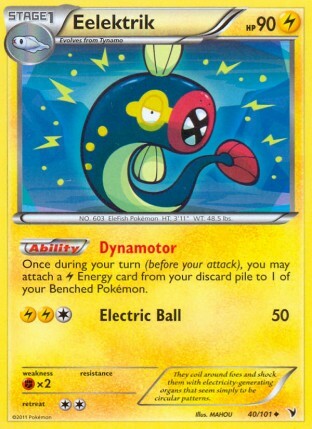 Of the big four decks (Blastoise/Keldeo, Landorus EX, Hydreigon/Darkrai, and Rayquaza/Eelektrik), it is the only deck that isn’t directly countered on typing by one of the other major decks. 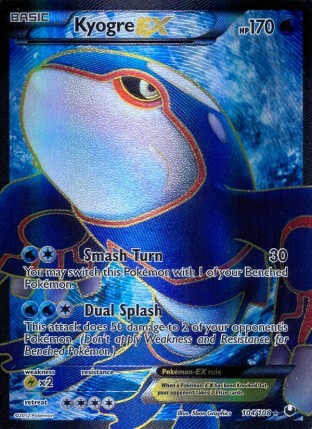 Even if new decks do pop up, don’t expect Blastoise/Keldeo to be directly countered by any other decks solely on type. Grass Pokemon are an embarrassingly weak type, with very little energy acceleration for themselves. The strongest Grass attackers are Virizion EPO, Virizion NVI, and Shaymin EX. All of these Pokemon have a few things in common that make them ineffective counters against this deck. First of all, all of them have low HP, so they all are easily going to be ohko’d. This is important, as all of these grass attackers are slow to setup. Sacred Sword on Virizion EPO takes GGC, Leaf Wallop on Virizion NVI takes GC, and Revenge Blast on Shaymin EX takes GC also, so these aren’t attacks that can easily be charged up,so once you get one of these attackers and all of your energy wiped off the board it will take a little while to setup another attacker, while the Blastoise player can easily recharge their attackers with Deluge. Something that I think has been lost on a lot of players is just how insane of an attacker Keldeo EX is. At its base, with three Water Energy attached to Keldeo EX, Keldeo EX is already 2hko’ing every EX Pokemon in the format, regardless of Eviolite, while scoring ohko’s on Landorus EX, Reshiram EX, Entei EX, Groudon EX, Shaymin EX, and Celebi EX. For six Water Energy, you are able to ohko all 170 HP Pokemon, and add another and you’re getting the knockouts on the big stuff like Terrakion EX and Darkrai EX. Without being able to be directly countered based on type and featuring one of the strongest attackers in the game, it would be a major surprise if Blastoise/Keldeo decks don’t do very well during City Championships. Perhaps the greatest weakness of the deck is that it is simply inconsistent. Stage 2 decks in general are inconsistent in this format as there isn’t a great deal of search that is there to especially get them setup. Computer Search and Skyla definitely help in getting your Stage 2 out and fast, but they still don’t make it easy. You still need some two card combination in hand to get your Blastoise out, with either of the Blastoise or Rare Candy in hand (or alternatively Computer Search), along with either the other missing part, Computer Search, or Skyla. This certainly opens up more pathways for you to get your Stage 2 out, but it doesn’t help as much as some would think. This can lead to some erratic testing results, where one game the deck goes off turn 2, and it appears like the clear cut BDIF, and then other games where you stumble on getting your Blastoise out until like turn 5 or 6, and the deck seems like the inconsistent mess that Emboar variants were. In general, I would say in about 2/3 of my games I am able to get a Blastoise out on turns 2 or 3, and when this happen, the deck usually performs very strongly. However, in those other 1/3 of games where you stumble on getting out your Blastoise, the deck can be absolutely brutal to play. Spread probably isn’t a viable option. Any type of Early game spread probably isn’t a very viable option with this deck, as it is too inconsistent to really get an early game spread attack off, and in this format, other decks are so quick that they will probably be able to knock out your spread attacker once you do get it setup. The problem with a spread based strategy is that there are too many variables that need to be completed to make it work. First of all, you need to hit the turn 2 Blastoise to get the proper number of Water Energy on your spreader, and then you need to search out your spread attacker (there really isn’t much room to play a lot of this)..and that is with most likely using some of your search to get out Squirtle and Blastoise, and then also use some other resources to get your spread attacker into the Active Position if you don’t start with it (and you probably won’t since there really isn’t a lot of room to play too many copies of these attackers). That is just too many variables that need to be completed to be a consistent part of your strategy. The idea behind spread in the deck is good, but in practicality, it just doesn’t really work out all that well. The non-EX Keldeo is pretty solid in the deck. I think it is important for every deck to have some answer for dealing with Sigilyph. Blastoise has the built in option of using Blastoise’s Hydro Pump attack to knock out a Sigilyph, but using Blastoise to attack with probably isn’t the greatest idea, as you can’t really Super Scoop Up the Energy off Blastoise, and you are putting Blastoise in a very vulnerable position to be knocked out. In Hydreigon mirror matches for example, smart players would use Sigilyph to draw out their opponent’s Hydreigon and putting the Hydreigon in danger of being knocked out. A similar strategy could be used against Blastoise decks without an answer to Sigilyph. In the Hydreigon mirror match, for example, the best option for dealing with an opponent’s Sigilyph was to knock it out with your own. Keldeo BCR 47 fits this role nicely. Its Hydro Pump attack does 60 damage plus 10 more for each Water Energy attached. Attach three Water to pay the attack cost, and you’re already knocking out Sigilyph. The nice thing, is it gives you a non-EX answer to ohko’ing any Water weak Pokemon as well, and can just be used in general to create an odd prize exchange. Mewtwo EX is really strong against the deck. 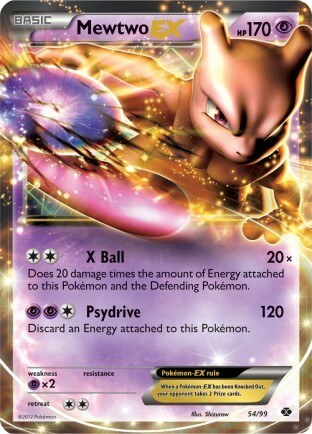 Without a doubt, the strongest counter to Keldeo EX in the format is Mewtwo EX. 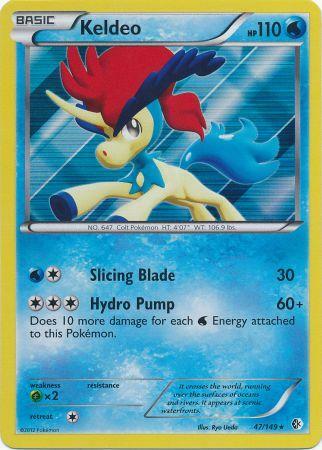 Keldeo EX has an attack that gets more powerful with each Water Energy attached, so naturally a Pokemon who punishes opposing Pokemon would be strong against it. If Mewtwo EX has just a DCE on it, it is already getting a 2hko on Keldeo EX> If the Keldeo EX player overloads their Keldeo with six Energy to ohko Mewtwo EX (or seven to do it against an eviolited Mewtwo EX), they will put themselves in grave danger of being ohko’d in response back by Mewtwo EX with either three Energy or a PlusPower. The real beauty of the Mewtwo EX versus Keldeo EX exchange is just how simple Mewtwo can exchange with Keldeo, while it is more complicated for the Blastoise player. Mewtwo needs low resources devoted to it in the exchange (two Energy), while Keldeo EX needs three Energy minimum. Since Keldeo will usually take until turn 3 before it is powered up and attacking, Mewtwo can get a few free swings in on the Keldeo EX. It is also easier for the opposing player to get their three Mewtwo EX setup to deal with a field of Keldeo EX, then it will be for the Blastoise player to continually stream Keldeo EX’s, especially with disrupting N’s getting thrown their way. As Blastoise decks don’t generally play Switch, it can be more difficult for them to surprise drop a Mewtwo EX into a Mewtwo battle, putting them at a disadvantage. Blastoise decks can definitely come out on top in the Mewtwo exchange, but most of the time, it goes the Mewtwo player’s way. Both Eelektrik variants have strong Blastoise/Keldeo matchups. The matchup that has frustrated me the most when playing this deck has been the Eelektrik matchups. With Computer Search now at their disposal, Eelektrik decks are going to consistently get setup. They setup much more consistently than Blastoise decks do, and they all play a set of attackers that can give Blastoise decks problems. Regular Zekrom/Eelektrik variants can be particularly frustrating, as they are able to spam Mewtwo EX’s like no other. More frighteningly, they can abuse Max Potion to completely set back the damage clock in the exchange. You can try for the knockout on all of their Eelektriks, but they will use Super Rod to get re-setup on that front, and if you do that, you’re just leaving a nasty Mewtwo EX there to X-ball your field to death. The Rayquaza/Eelektrik matchup is frightening because they can just go between Rayquaza EX’s to ohko your Keldeo EX’s, which can be tough. I’ve had games where I got a fast setup and jumped out to a big prize lead, only to have the Rayquaza/Eelektrik player use N to limit my chance for a response and then claw their way back into the game, while taking ohko’s on my Keldeo EX’s. This is where the failure of a good spread strategy hurts the most. If you could properly wash away all of their Eelektrik’s with a Kyurem or Kyogre EX, this deck would be in a lot better position against these decks, but without the capability of taking down the Eelektrik’s with ease, these both end up as bad matchups for the deck. If Eelektrik decks survive Landorus EX being in the meta game, then Blastoise/Keldeo decks will need some response to them if they hope to compete well. One option will be to include an early pressure Fighting type Pokemon, such as Landorus EX or Stunfisk DRX to take easy prizes on Tynamo and/or Eelektrik in the early game. I am not sure how well this would be able to fit into the strategy of the deck. The other option, which I am favoring more, is to use alternate attackers that can exchange well with the attackers of these two decks. The three attackers I have considered are Sigilyph DRX, Cresselia EX, and Kyurem DRV. The first two attackers, Sigilyph and Cresselia EX are your Mewtwo EX counters. Right now I think Cresselia EX is better, despite being a little more difficult to power up, as it takes the ohko on Mewtwo EX, while Sigilyph can fall short. It’s also awesome that Cresselia EX removes its weakness, giving it some strength in a Mewtwo EX exchange. If you can force your opponent to make double catcher plays on the Cresselia EX to knock it out with Mewtwo EX, then you can rid their deck of these resources and gain a late game advantage, where you can just use multiple Keldeo EX to Rush In between each others, knowing that your opponent won’t have the Pokemon Catchers to take an easy prize on one of them after they’re damaged. 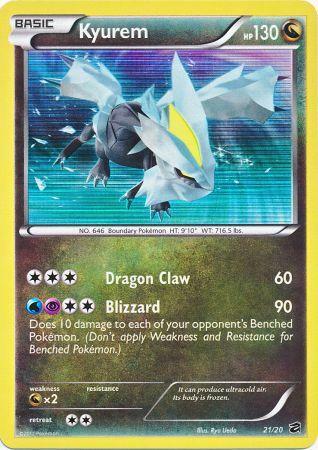 The Kyurem DRV is your Rayquaza EX counter. For WPCC, it does 90 damage and spreads 10 to all of your opponent’s benched Pokemon. It’s not the strongest attack ever, but it is enough to ohko Rayquaza EX, while also spreading 10 damage to each of your opponent’s Pokemon, which can be good for setting up easier knockouts for Keldeo EX later in the game. I think Blastoise/Keldeo is a deck that has a lot of potential, just because of how strong Keldeo EX is as an attacker, and its Ability is quite nifty as well. The deck also gains a lot of strength in getting setup, at some point, because Squirtle’s Ability prevents your opponent from using snipe attacks against it. While the deck has a lot of things going for it, I feel as though the deck has a lot of problems to sort through and be solved before it can take its place alongside the other top decks in the format. I’ve already decided against playing the deck for my first City Championship this weekend, as I think it is too risky to play until it is seen how the meta game is shaking up, and most importantly how many Eelektrik variants still exist in the meta game. After I can gain some insight into what the meta game looks like, I may consider playing the deck for future City Championships in which I can properly tech the deck to deal with opposing threats. So you say it’s tier 1, then you go on to say it’s inconsistent, has trouble with aggro Mewtwo (and, if you tested it, a turn 1 Tornadus EX is also very difficult to come back from), Eel variants, and relies on 2hkos, so both Hydreigon (similar speed) and Raikou-heavy Eels can abuse Max Potion like crazy. …gotta question that logic. Too many existing tier 1 decks beat it. It’s Tier 1 because Keldeo EX is a really strong attacker, and the deck can use Mewtwo EX pretty well too.I have yet to lose a game to any Darkrai variant with the deck. Being able to ohko wherever their energy is with Keldeo EX is really strong. The Eel matchup isn’t that great, but not unwinnable, and there isn’t a deck in the format right now that doesn’t have one bad matchup. Additionally, the list of techs this deck can use is very long. There are techs for the deck that can be thrown in that really swing the Eels matchup (Kyurem from Dragon Vault, Cresselia EX, and Sigilyph DRX). The deck is inconsistent relative to other decks in the format, but it is still able to setup, and the consistency you give up playing this deck for the power gained with Secret Sword and Deluge can be well worth the trade off. Eelektrik decks setup much easier, and big basic decks are setup from the get go. So relative to those, it is inconsistent, but with Skyla/Computer Search, it’s still not that hard to setup, you just won’t be setting up as fast as other decks in most games. The way you explained it was kinda weird and misleading. You say it’s top tier and then you site examples of other decks pulverizing it. AND blastoise/keldeo decks are VERY consistent with comp search and skyla. The deck is inconsistent relative to the rest of the format. Eelektrik decks just have to setup Stage 1’s, which are immensely easier to setup than a Stage 2. Big basic decks are setup from the get go. This deck still is able to setup thanks to Skyla and Computer Search, but it is usually a slower setup than these other decks. The deck doesn’t come without it’s problems, but the same can be said about Landorus, Eelektrik, Darkrai, and Hydreigon decks too. Just because a deck has weaknesses doesn’t mean it can’t be top tier. To put it perhaps more clearly, I think this deck is top tier because Secret Sword in conjunction with Deluge is a really powerful attack, and there are tech options available to help with all of your bad matchups, so the deck can be tailored for success in a given meta game. Interesting techs (Sigilyph DRX, Cresselia EX, and Kyurem DRV) but some require psychic energy. How many would you recommend running and would you run straight basic energy or a blend? I’d recommend at least 2 of each, so 2 Kyurem and then 2 of some combination of Cresselia and Sigilyph, not really sure which one is the best, Sigilyph is a little easier to setup, but Cresselia ensures the ohko on Mewtwo. 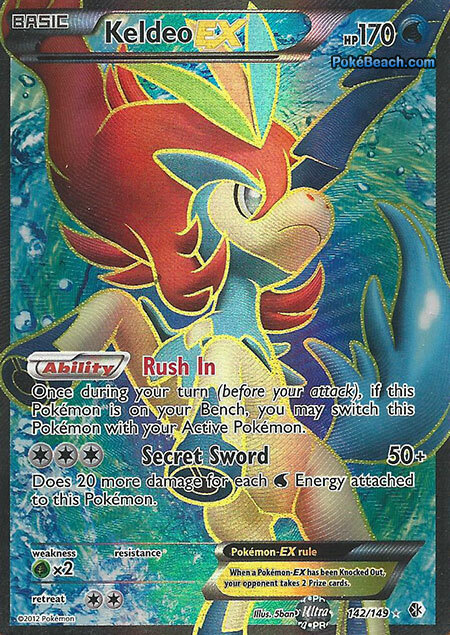 I am a little stuck on which would be better to run in the deck.Prism could be attached to Keldeo EX, powering up Secret Sword, but it comes at the cost of being only played in four, and thus not being able to be retrieved. 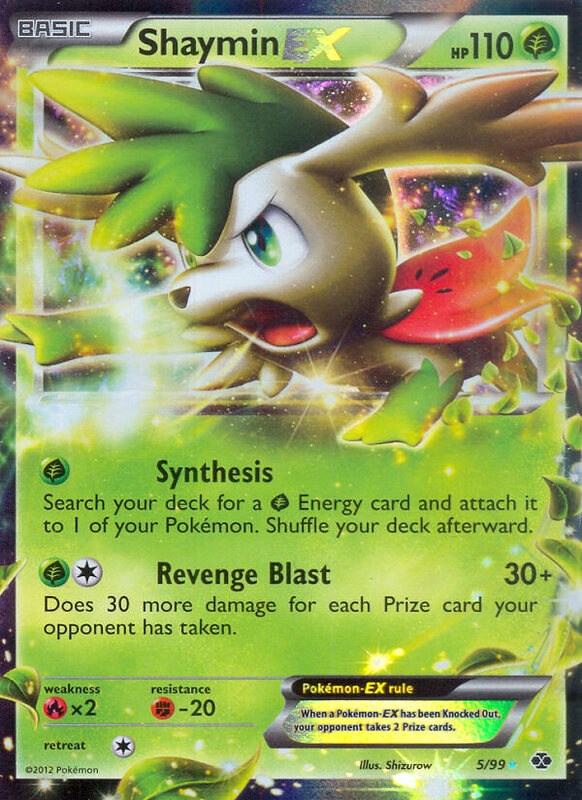 Since the deck has a lot of discard already, I think the Basic Energies might be the better bet, just because you can get the random Psychic Energy by discarding it, and then using Energy Retrieval as a pseudo Energy Search.